Xie Huaimin who had been jilted, unexpectedly came to the unfamiliar nation of Dong Qi and became Xie Zhaohua, the idiotic Fourth Miss of the Grand Tutor Xie’s family in Dong Qi. Ready to be flexible to her newfound circumstances, she strived to let herself adapt to life in a feudalistic society but her eccentric Second Brother, Xie Zhaoying, implicated her in a complicated web of intricacies. The Zhao family’s party which dominates the court administration, the refined and mysterious teacher Song Zijing from Xi Qi and also Prince Yan, Xiao Xuan, who is remotely far away, form a world full of perils and excitement. Miss Xie who is imbued with courage and insensitive yet pure, followed along with Xiao Xuan without second thoughts, throwing herself into the venture of revolution and love. Ruge who is as innocent and bubbly as a flame is Lie Huo Manor’s successor. Her longtime past from nineteen years ago will draw her into a maelstrom. 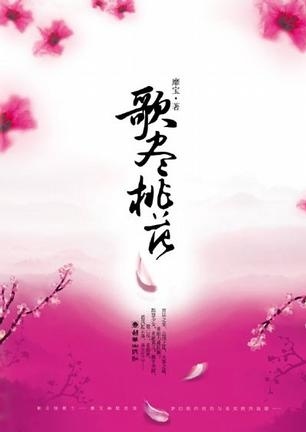 Three men are fated to appear in Ruge’s life, the proud and aloof Feng(maple), the soft and gentle Yu(jade) and the peerless and beautiful Xue(snow). Soul-stirring scenes of entangling love and hatred will start to be presented. *T/n: The words in brackets are the meanings of the last character of each person’s name in pinyin. When she was reborn to her younger times, she swore that she would chop away all the sharp claws which intended to control her own life. She will expose their painted skins of disguise one by one, and strive for a life of happiness and peace for herself and those she loves.